Mirror, mirror on the...floor ?! Mirror, mirror on the…floor ?! So we all know the famous line of “Mirror, mirror on the wall…”, which comes from the very popular fairy tale of Snow White. And today I would like to integrate this to my article in order to make it more appealing and give it a unique charm. And how else am I going to relate today’s article with this specific line other than presenting you with a few beautiful mirrors. And, of course, as you may have guessed by now from the post’s title, I am going to show you a few floor mirrors. You may be wondering how can a mirror be beautiful and what can be so unique that I am going to introduce you to several. In my humble opinion, in the last years the whole concept of the mirror has developed from a simple necessity of the household into a design accent, accessory and in some cases, necessity. So, thankfully, I don’t have to feel bad anymore to admit that I enjoy having a mirror around when I get dressed in order to check if everything is ok, I can just blame it on design (haha). And coming back around to the idea of how mirrors can be different and why should you search a bit before choosing one. 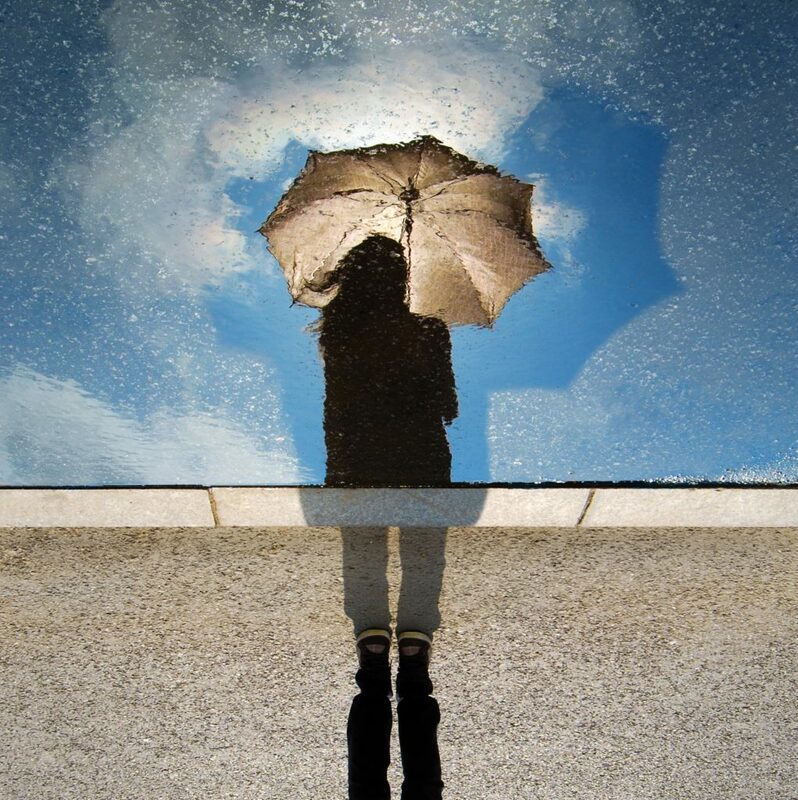 As you may see in one example that I have lined up for you, a mirror can be more than the simple clean and bright reflection that we are used to seeing everyday. From frame, size, style to the actual mirror, everything can be different and unique in order to fit with your home, concept and vision. The first mirror I got for you is an Antique Avery Floor Mirror. This is not only a lovely mirror to have in your home but also a beautiful piece of furniture that can accentuate any room and area that it is placed in. 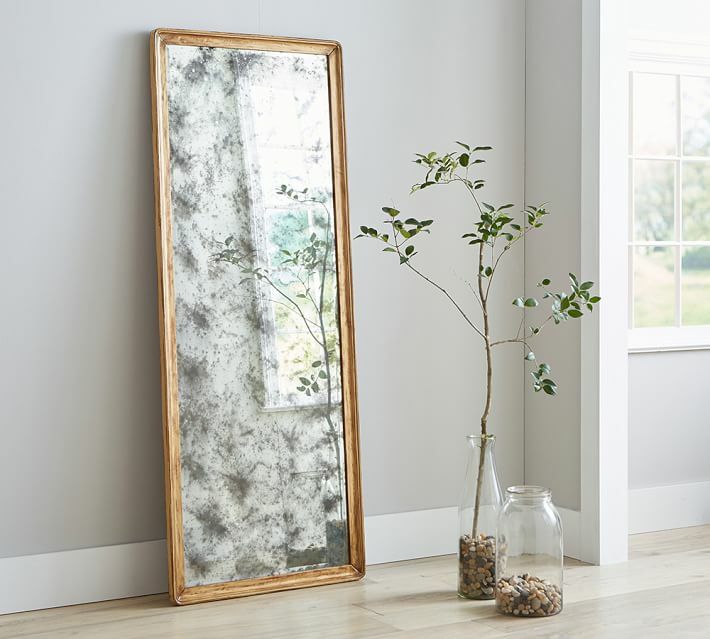 With a smoky touch to the mirror, that gives it an antique and vintage feel and a simple yet slightly distressed gilt frame, this mirror will be just amazing to own and place in your home. The next piece that I have for you in terms of mirrors is the Quinn Floor Mirror. I would describe this mirror as rustic due to its wide wooden frames. It would fit perfectly in a earth toned room with natural colored wood, but I wouldn’t hesitate to use it in a more unique color combination. 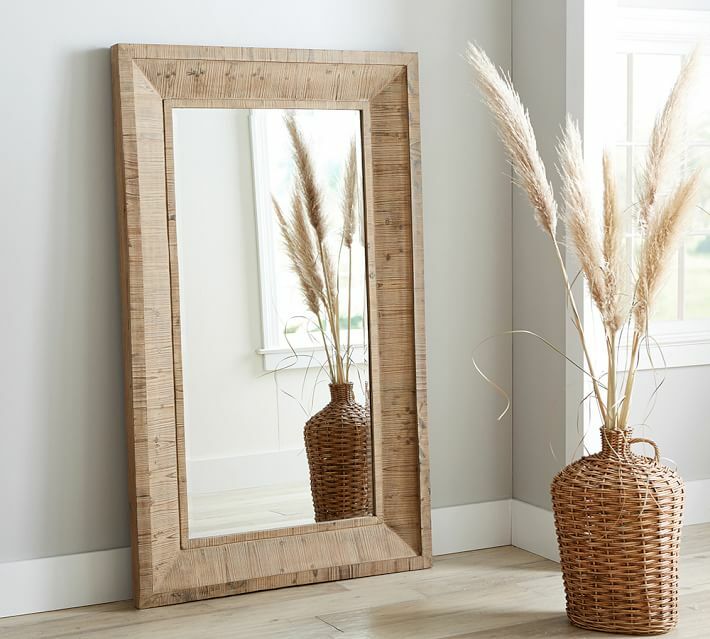 For a more modern look, I would mix this mirror with pallet wood furniture, the ultimate trend, nowadays, and add some color with a few accent pillows, rugs or drapes. Next up we have one for the classics, the Bevel Floor Mirror. The simplicity of this design is a unique feature that makes this mirror great. We can say that it either has no frames or that its frames are made of itself, due to the lack or any other material other than mirror and the small margins on its outer edges, take it however you want. Its shape and size also makes me associate it with the classic periods, reminding me of the double doors of the antique houses which stood tall and lean, opening your path only to greater things. For the fashion enthusiasts out there, we have a special mirror design that will fit any style and wardrobe. 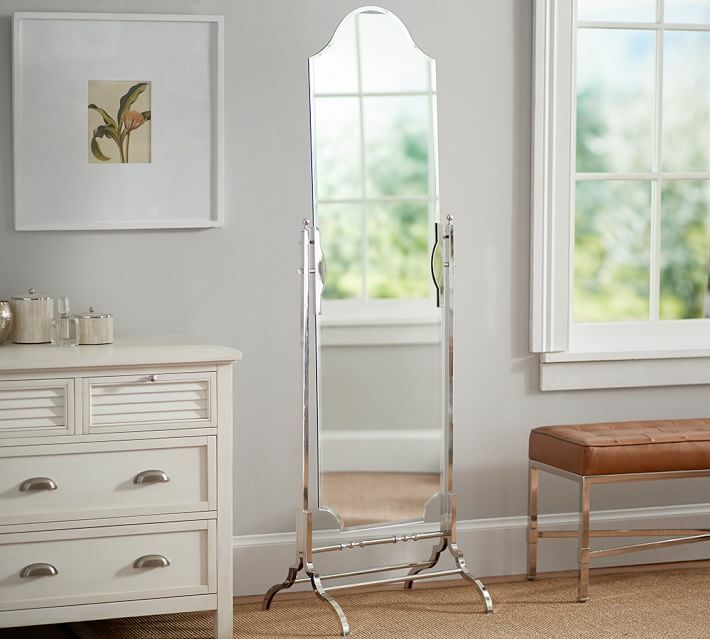 The Piper Floor Mirror is a frameless mirror that has an iron frame, which is finished in polished nickel. This frame, along with its shape, make this piece a beautiful piece to have in the wardrobe of any lady or gentleman. You choose the clothes and the mirror will show you the right way to wear them. I have chosen this next mirror more as a design piece rather than an actual mirror. 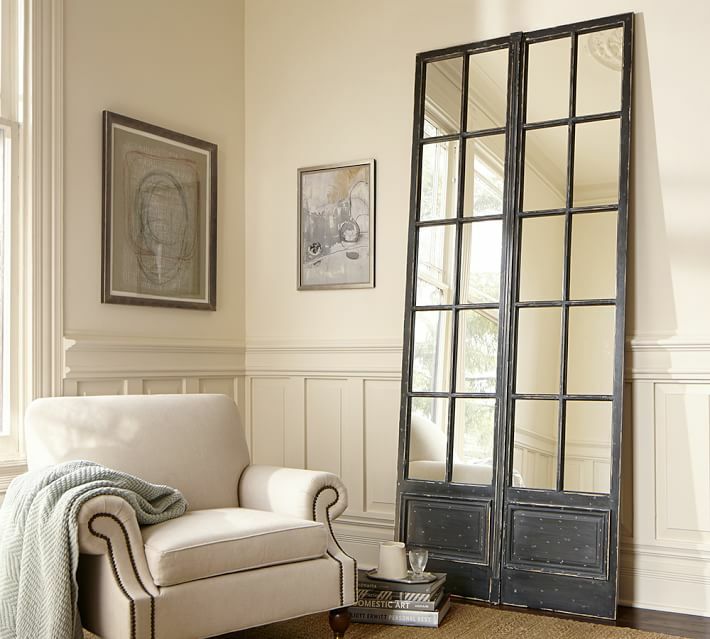 Out of all the pieces on this list, this Vintage Paned Mirror fits best into the category of design piece rather than actual mirror. Fitted inside a frame that resembles and old panned double door, this mirror adds color, style and class to any room or any space that it occupies. The distressed black painted wood adds a touch of color to this piece, making the mirror not only visible but also a big part of your room’s design. Another piece which I found close to my heart and tastes, is the Jessie Floor Mirror. To mention its unique factor that brought it on this list from the beginning, I can mention that this is the most modern piece of them all. 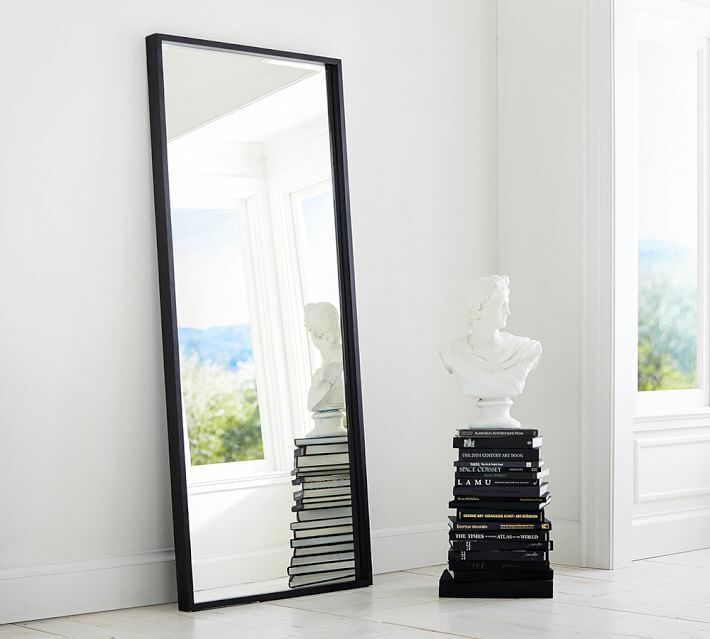 With a simple, black and thin ash wood frame, this mirror is the best way to add the feeling of space into any style of room and any area of the house. 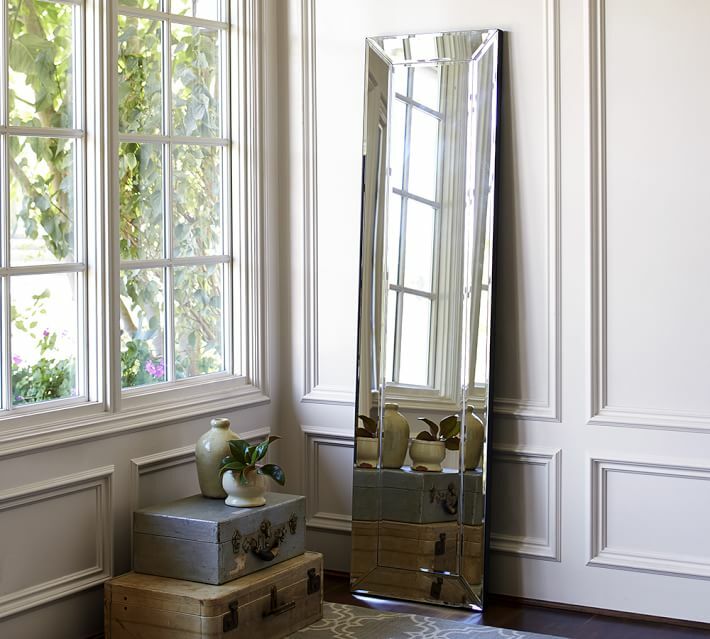 From vintage to modern, any house can be a home for this mirror. This, my darlings, has been today’s article. A bit of charm, a bit of style and a lot of space is what you will add to your home if you chose any of these pieces. I wish you a good night and may you have a beautiful home! All my thanks go to the Pottery Barn website for all the products in this article and I advise you to visit them for any more information or purchasing of any item on this list. This article’s featured photo comes from David Marcu at Unsplash.